Well...here we go. We're on the home stretch. The BAFTAs are generally my favourite awards of the season because the Brits usually know what they're talking about, even though there are a few oddball nominations here. Now, I know you might be a little sick of awards talk (even though I think it has been curiously absent and it is more about the backlash this year), but bear with me. My pageviews/comments have been down for a little bit, and I don't think this post will help with that...but it needs to be done. 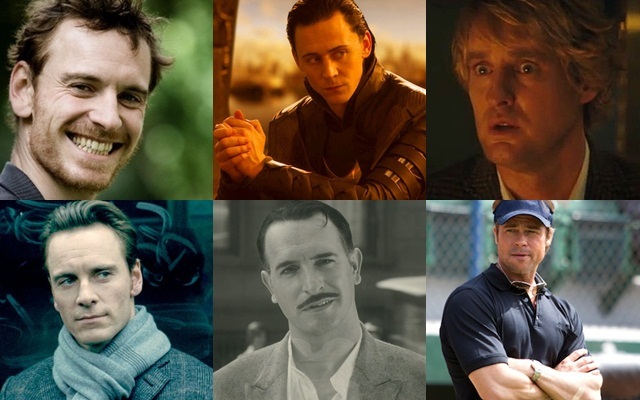 Happy Fassy: Who I want to win, but doesn't necessarily mean that they will win. Lowkey Loki: Who will win. My final prediction. Overwhelmed Owen: The complete longshot. I'm going for Drive all the way, as I'm still fuming over how ignored it was at the Oscars. Actually, I think that Drive and Tinker Tailor Soldier Spy, two films which failed to get a Best Picture nomination at the Oscars have a better chance of winning this award than actual nominee The Help. I'm surprised that the BAFTAs loved The Help as much as they did, but I can't see it taking many awards apart from the acting ones. As for the actual winner, it'd be stupid not to pick The Artist, as that seems impossible. But I wouldn't be surprised if the most overrated movie of the year The Descendants takes the award...every seems to love that one for some strange reason. This is possibly one of the hardest categories to pick, considering how much quality there is in it. I think that My Week with Marilyn is the longshot considering it was the lowest rated out of all of them, but the fact that it has a lot of nominations in the acting categories could mean that it isn't such a longshot. Alas, my heart is with Senna, my favourite film of 2011, and I could definitely see it taking out the award. 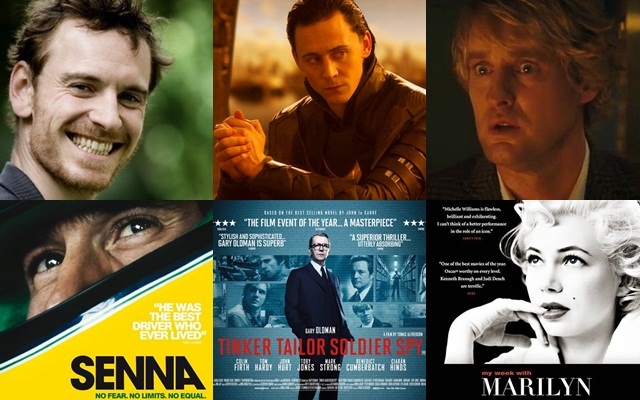 However, with Tinker Tailor Soldier Spy having a Best Film nomination and all, it has the advantage over everyone. I wouldn't go past Shame and We Need to Talk About Kevin to take away the award, though...can they all just win?! If Michael Fassbender has any chance of winning an award before the season ends, it is for this. I actually wouldn't be surprised if he got it, but he has Gary Oldman riding on his back, too. However, I don't think they'll get past Jean Dujardin. The two Americans, Clooney and Pitt will be left in the foreign dust...well I'm hoping that Clooney doesn't win another award for his 'meh' work in The Descendants. Okay, this is a pretty hard category to pick. According to the Oscars, Berenice Bejo 'belongs' in the supporting category, but I think she has a perfect chance of winning this award. You can look at this category in many ways...if the BAFTAs end up giving everything to The Artist, then Bejo will win. 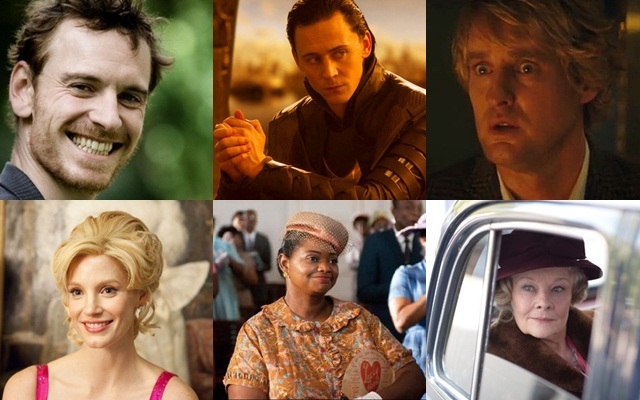 If they take to The Help, then the award is Viola's (but I'm not sure that she has a huge chance here...). Since they seem to love My Week with Marilyn, Michelle Williams stands a perfect chance. Since We Need to Talk About Kevin is 'homegrown', they might go with the un-Oscar nominated Tilda Swinton. Meryl Streep's perfect mimicry of someone from their history (who they'd probably rather forget) might get her the award. It is impossible to pick a winner, as I think that these awards have the power to branch out from the two front-runners Streep and Davis, but I think Streep has the biggest chance. I don't know...it could literally be anyone. This one is a lot easier to predict. 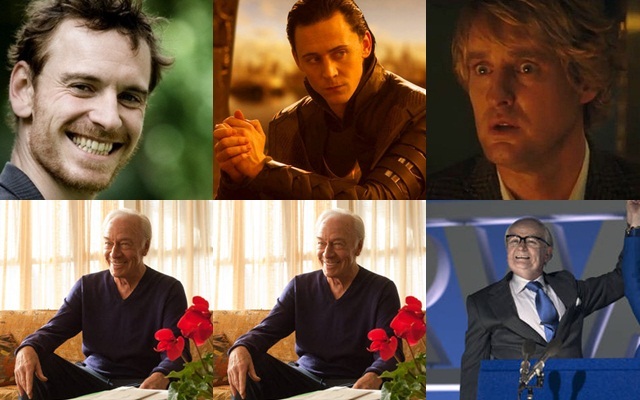 Christopher Plummer all the way. 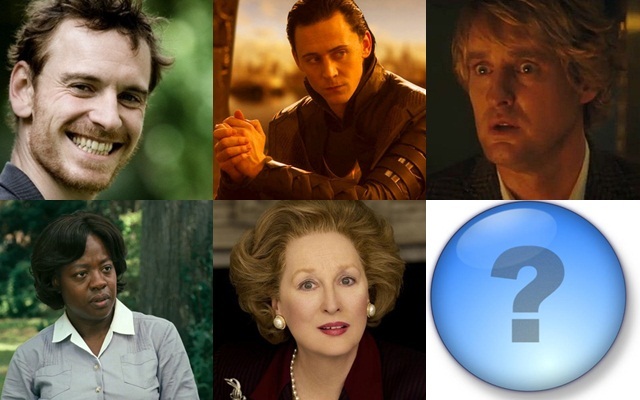 Though I wouldn't put it past them to choose Kenneth Branagh, just to be different. I'm not completely sold that Octavia Spencer will win this award, but since she's won everything else, I think they'll give her this one too. Eh, I wish that Jessica Chastain would win something. I honestly don't know how anyone could pick a winner in this line-up, because it is dripping with greatness. Literally. 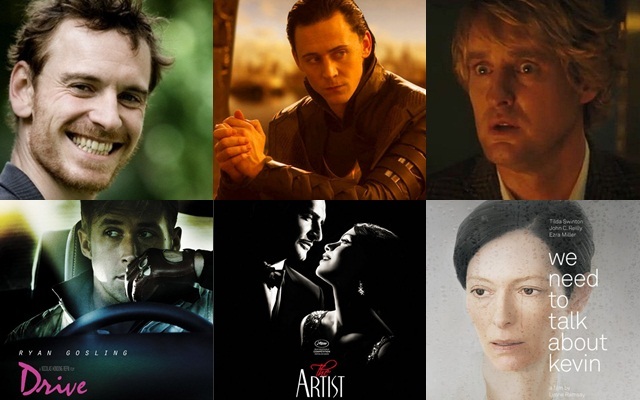 I'd love to see Nicolas Winding Refn win, since his direction in Drive is probably the best of the year, but I think the award will go to The Artist...especially if it gets Best Film. I wouldn't go past any of the others, though. 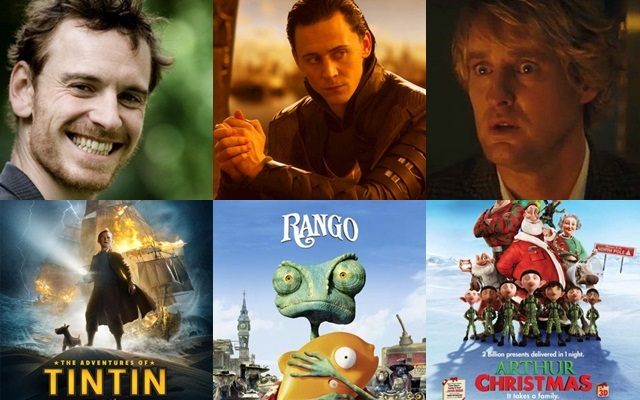 Being the only Oscar nominee, I think that Rango will win this one, but The Adventures of Tintin stands a huge chance since it is actually eligible here. Tintin for the win. Okay, we've got to remember that this is voted for by the general public. If it was my pick, I'd go with Tom Hiddleston, but I am not the British public. Chris O'Dowd himself has said that Adam Deacon will take the award, but I have, well, never heard of him (oops). Maybe O'Dowd is right and maybe he is really popular in Britain. But I'm going to predict Chris Hemsworth, since people really liked him in Thor and stuffs. 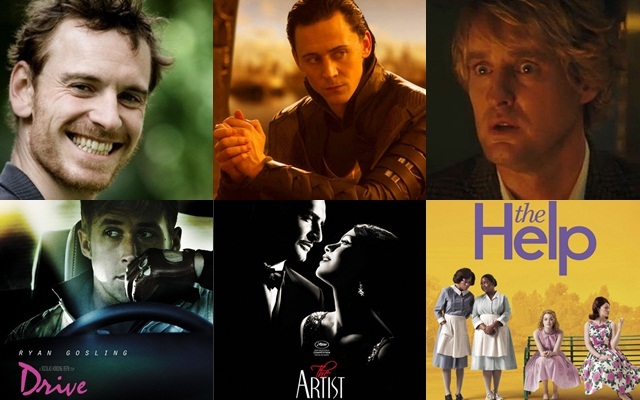 I'm just surprised that Jessica Chastain didn't make it through to the shortlist. ALL OF THE OTHER AWARDS, WHICH I WON'T GO INTO A LOT OF DETAIL OVER. Anything in bold is who will win, anything underlined is who I want to win. So there are my predictions. The show is on Sunday, UK time (Monday morning in NZ, luckily during my computer period so I can keep an eye on the winners :D). Who do you think will win big? That was a pretty good category. And you must see Drive! I'm going to put my money on Oldman for winning best actor, though, as it seems like Tinker Tailor was made for award season. I'm still so aggravated that The Tree of Life has been snubbed in every category, but so glad that Drive has received some love. Oh...Shank...that movie. I don't really remember him in that, although I don't remember a lot about that movie. Tinker Tailor may have been made for awards season but awards season isn't accommodating it, for some strange reason. The Tree of Life did get some noms at the Oscars, so that is fine. Drive really deserved some more love. Oh, I love the BAFTAs, I can't wait to see them tomorrow night- have you seen the guest list? For me, they are better than the Oscars, I just love the Brits and they usually get it right! -My latest crush is Tom Hiddleston, I am slightly obssessed with him, so Loki all the way! 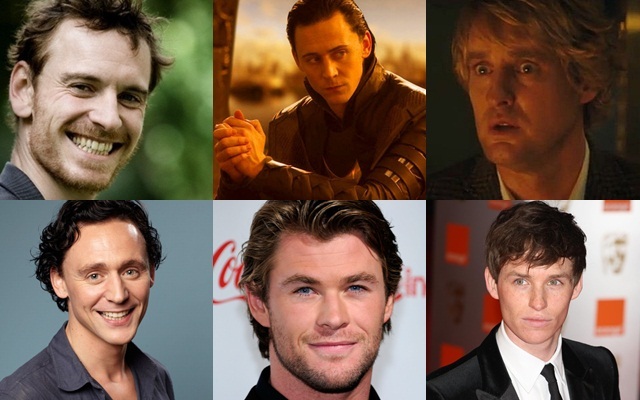 Chris Hemsworth might have more fans, but I think it's between Tom and the two Chris-es. Loki Loki Loki! I knew I was right with Dujardin :) As long as there's no Clooney, I'm happy! I agree that The Artist can win big on this Sunday. I feel that there won't be many surprises at the BAFTAs. Us brits really know our stuff when it comes to nominations, like giving Drive a Best picture nomination over Extremely Loud and Incredibly Overrated. As for Adam Deacon, he's only starred in Anuvahood, which he also directed and wrote, and he isn't at all big over here. But Deacon still won...hmmmm, I must look more into what he has done. Oscar night is going to be SOOOOO boring! Yes it is. But I still somehow get excited about it!